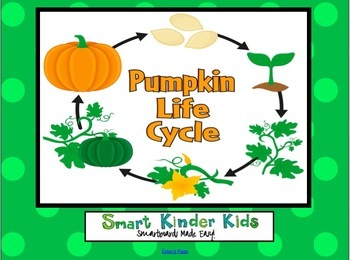 Looking for a great interactive Smartboard unit on the Life Cycle of a Pumpkin? 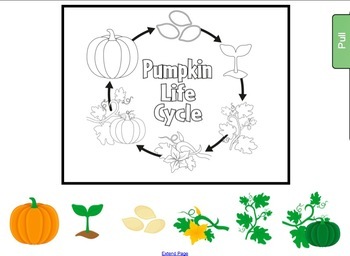 With this file you will have everything you need to introduce your unit, brainstorm with your students, direct teach concepts Whole Group as well as allow students to use for Science or Literacy Stations in a Small Group or Individual setting. 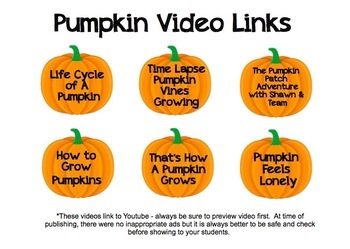 With 6 video links right at your fingertips, you also will be able to extend the students' learning. 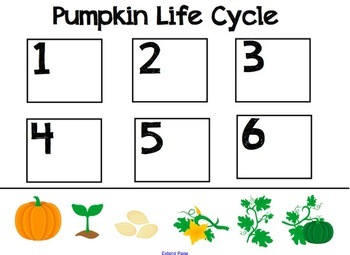 The video links as well as the Interactive Smartboard Story incorporate Reading, Math and Music to make this a unit you can use from year to year. Please check out the preview to see all of the slides. One of the great things about Smartboard Packs is that you don't have to keep loads of bulky papers and posters from year to year - you can have all of your materials saved on your thumb drive or school computer. This was created with Smart Notebook 11 - I suggest you upgrade yours (my upgrade was free) to get the best quality. If you like this product, please check out my TpT Store by searching Leigh Majer where you will find lots of Smartboard products including monthly calendar packs, yearly lunch and attendance counts as well as many other products.